⚡ Learn from a man who has interviewed a LOT of people. 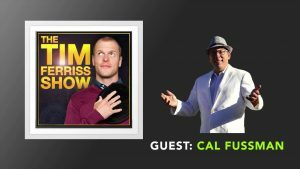 Cal Fussman is, amongst other things, a journalist who has interviewed the likes of Mikhail Gorbachev, Richard Branson, Robert DeNiro, Clint Eastwood, Al Pacino, George Clooney, Leonardo DiCaprio, Tom Hanks, Bruce Springsteen, Dr. Dre, Quincy Jones, Woody Allen and more… he’s had some pretty interesting conversations. So listen to this one for some awesome travel stories.